In Part II of their look at "Climate McCarthyism" Ted Nordhaus and Michael Schellenberger look at how Joe Romm has waged an effort over several years to smear my name and reputation. Those not interested in the blog wars should move along, but hopefully will excuse this post, as it is my reputation being attacked and I am pushing back. Here I'll add a little extra detail to the account from Nordhaus and Shellenberger.
. . . it doesn’t matter if you can dig up writing of yours from the past (read by hundreds of people) that seems to agree with things I’ve written. What matters is that when the media writes about their interviews with you (for millions of people) they seem to conclude mistaken things — in this case the need for a $20-billion-a-year federal program to “develop new energy technologies." In other words, because Romm disagreed with the policies that I support (somehow making them "mistaken"), he felt justified in attacking my character and misrepresenting my academic work. He explains that what I actually write "doesn't matter." That Machiavellian perspective explains a lot. It is clear that you still don’t understand the difference between a stabilization scenario and a baseline scenario. . . Please do explain this “difference between a stabilization scenario and a baseline scenario” and how it matters at all to my central criticism of your conclusion . . . So Romm went on full attack against our paper, which was focused directly on the assumptions used by the IPCC in its baseline and stabilization scenarios, and he didn't even know what the difference was between them! Richard Tol patiently tried to explain to Romm how he had fundamentally misinterpreted the paper (n the comments here) with apparently no success. After that experience, Romm must have realized that he was not really up to debating the substance of policy issues and thereafter refused to engage me. Instead he went on the attack, writing dozens and dozens of posts that slighted me and misrepresented my work, all the while refusing me any opportunity to respond on his blog. I apologize for not warning you in advance to put your head in a vise to prevent explosion. 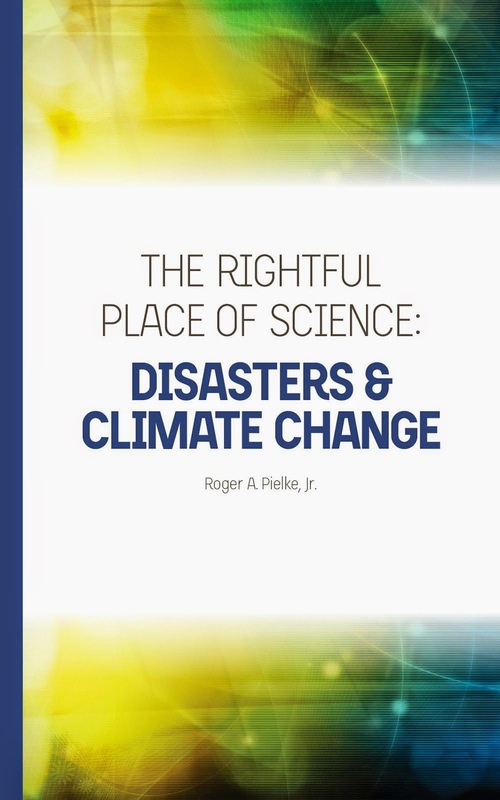 What you fail to realize is that for Roger “climate change” as defined by the IPCC, “global warming” and a “greenhouse gas signal” are obviously and utterly completely different things. If Joe was trying to make himself look like a fool, he could not do a better job. In fact the three concepts that he mentions are different things. You won't find a single scientist willing to say that these phrases refer to the same concepts. I have even published a peer-reviewed paper on why such concepts matter for policy (here in PDF). But I have learned that discussion (or even mention) of my peer-reviewed research is not a place that Romm is willing to go. So in the end I have pushed back. I have opened up a thread for the discussion of conclusions from my research and invited Romm (and others employing similar strategies) to "debunk" them. So far, he has been a no show. I'm not surprised. Part II of Shellenberger and Nordhaus is here. Part I is here.